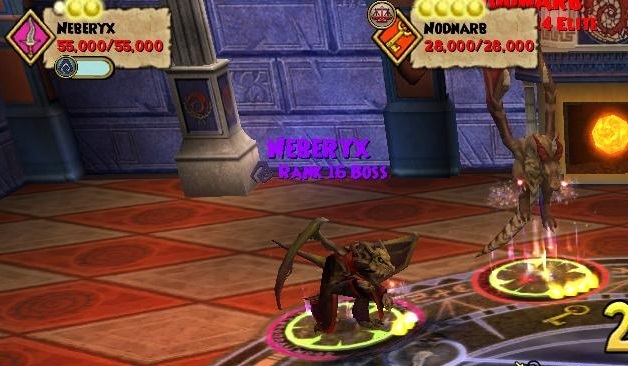 The Wizard101 test realm is live once again, and with it a brand new boss! This particular boss was completely designed by KingsIsle’s most recent Make-A-Wish visitor, Brandon. 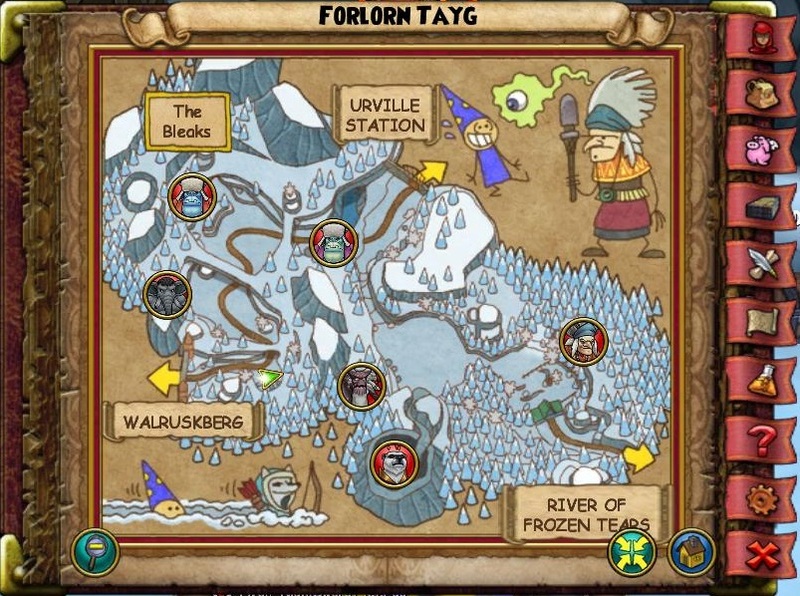 In order to see what tricks he conjured up, wizards who have completed the quest “Into the Bleaks” must speak with Brandon who resides in Forlorn Tayg, Polaris. You can find him near the entrance next to Edgar and Mariya. From there, you’ll have to venture to your trusty Young Battledrake in Dragonspyre Academy who will drop you off at Dragon’s Roost. Once you speak with Magister Zilant, you’ll be all set to take on Brandon’s creation. After stepping inside Dragon’s Maw, you’ll be greeted by Neberyx (Shadow, 55,000 health) and Nodnarb (Balance, 28,000 health). Bonus points if you noticed that Nodnarb is Brandon backwards! ;) In order to collect the Fireband Orb, you’ll have to defeat these menacing beasts. Neberyx seems to resist 20% to Balance, Storm, Ice, Fire, and Myth, 25% to Death (not sure why this one is different), and boosts 15% to Life. Neberyx is stun immune, but his minion is not. Both the boss and his minion love to cast debuffs and shields. After each natural attack by Neberyx, he will shout “How Do You Like This?” and cast a Virulent Plague. If anyone comes into the battle late, Neberyx will interrupt to shout “Tardiness Will Not Be Tolerated!” and cast a Moon Bolt (equivalent to an Insane Bolt) on any late wizards. If you cast any type of blade, Neberyx MIGHT interrupt to shout “Enough Of This!” and cast an earthquake. This cheat currently seems random. I’ll continue to test, but there has been absolutely no consistency with this cheat. This cheat can be dispelled using Vaporize. Have Shatter and Cleanse Charm handy. There are so many debuffs and shields in this fight – it would be beneficial to have Shatter and Cleanse Charm in case you need them. Trap stack Neberyx and take him out first. Use school traps, universal traps, bubbles, and feints (yes, no penalties for feints!) to defeat Neberyx. In addition to traps, your hammer can also use auras. With Neberyx out of the way, you can blade up and take out his minion. No Neberyx means no untimely Earthquakes! Until the blade cheat shows some more consistency, I wouldn’t bother with blades or Vaporize. Good luck with your battles against Neberyx and let me know if you find any good drops! Also be sure to try out the special Brandon TCs that you will receive when you first accept the quest. You’ll receive one for each school!